Your body needs the trace mineral magnesium for more than 300 essential biochemical reactions, but most of us don’t get enough magnesium from dietary sources alone. 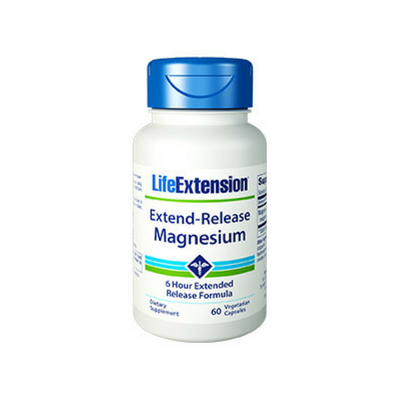 Extend-Release Magnesium is formulated with magnesium oxide for extended release and magnesium citrate for immediate absorption. By combining magnesium optimized for immediate and prolonged uptake, this advanced formula provides more consistent results. 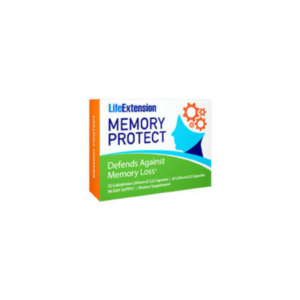 Life Extension customers have known about the health benefits of magnesium for years. Now, Life Extension offers Extend-Release Magnesium. Formulated with two kinds of magnesium, Extend-Release Magnesium is optimized for both immediate and prolonged dissolution and uptake. Extend-Release Magnesium ensures you get the maximum health benefits magnesium can provide, making it our most advanced magnesium supplement ever. Magnesium relaxes the smooth muscles within the blood vessels, promoting cardiovascular health. Magnesium promotes the synthesis of serotonin and nitric oxide. Magnesium positively influences the bone mineral matrix and its ability to metabolize minerals needed for optimal bone health. 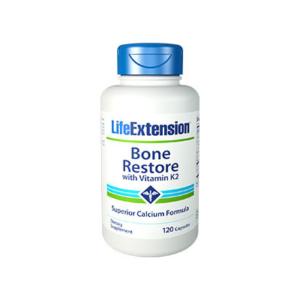 Scientific literature documents the need for a number of minerals, including calcium and magnesium, to help maintain strong, healthy bones. Dietary magnesium also improves metabolic profile, beneficially impact insulin resistance, serum lipid profiles, promote a healthy inflammatory response, support healthy endothelial function, and protect against oxidative stress.